Chevrolet has been the official vehicle of the Detroit Red Wings since 2015, and it takes its partnership with the legendary hockey team to a new level in 2017 as the official vehicle of their new home: Little Caesars Arena. 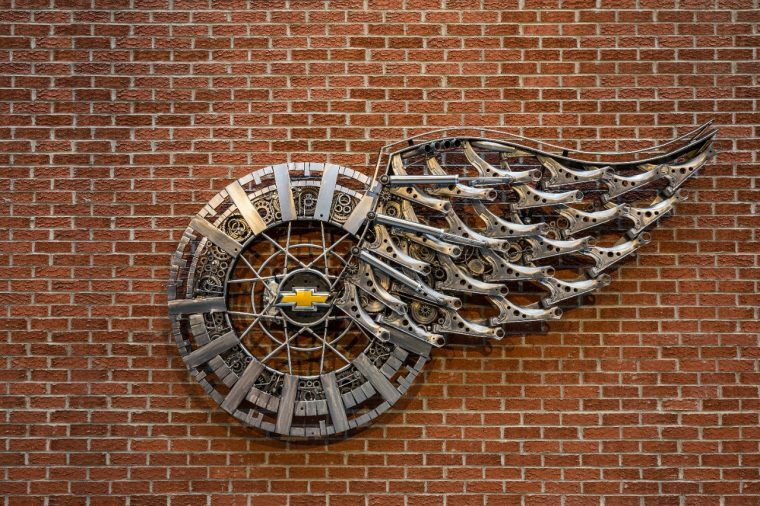 In something perhaps tantamount to a house-warming gift, Chevrolet has crafted a new sculpture, entitled “Wheels & Wings: A Chevrolet Tribute to the Iconic Detroit Red Wings ‘Winged Wheel’ Logo,” that will be on permanent display at the arena’s northeast entrance. The sculpture stands 9’5” tall and was built by former motorcycle stunt rider Tomas Vitanovsky. The Czech Republic native spent some 700 hours on the sculpture from conception to fit and finish. Appropriately, a number of disused Chevy pieces were made part of the final product, including a 1918 Chevy hubcap and a Bowtie emblem from a Silverado. 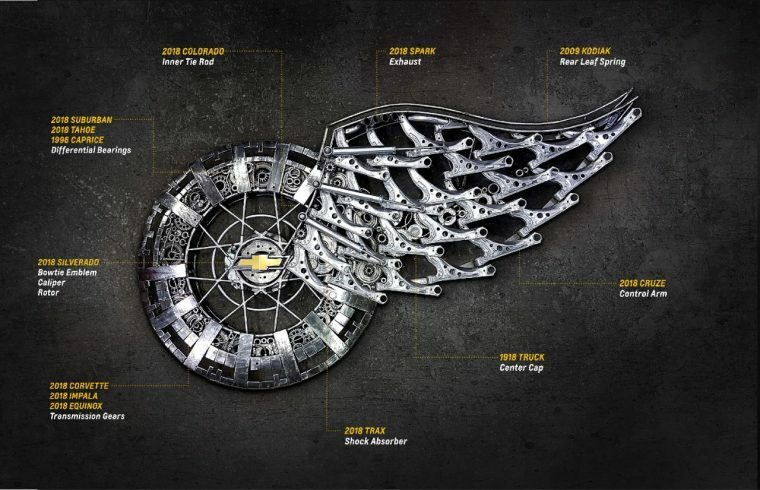 You can check out a time-lapse of the creation of “Wheels & Wings: A Chevrolet Tribute to the Iconic Detroit Red Wings ‘Winged Wheel’ Logo” below.